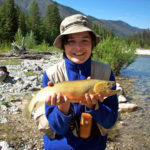 Our camp is located 24 miles away from the nearest trail head making it an ideal location for fly-fishing the solitary trout waters of the White River. 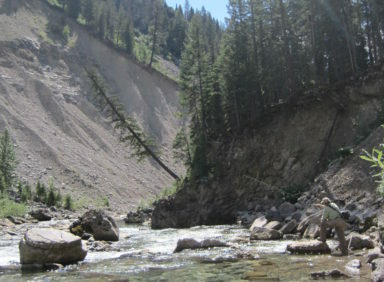 Only accessible by backpackers or horseback riders, it offers a unique opportunity to enjoy the unspoiled beauty of the Bob Marshall Wilderness. 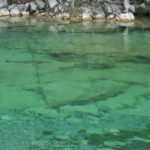 The camp is rebuilt every summer and taken down every fall, making it one of the only permanent camps in the wilderness. It’s location in the Bob offers great day rides to scenic vistas atop the surrounding mountain peaks. 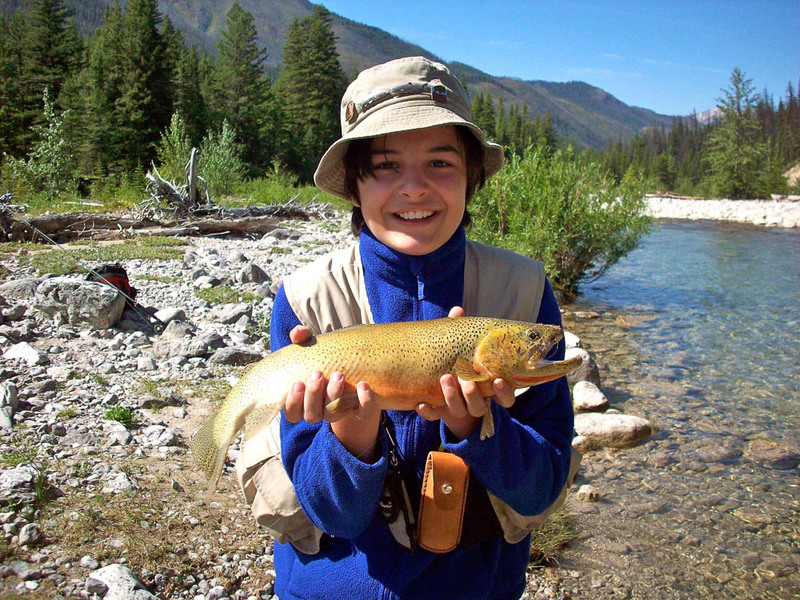 The camp is on a pristine cutthroat fisher known as the White River, which flows just a hundred yards from the camp. 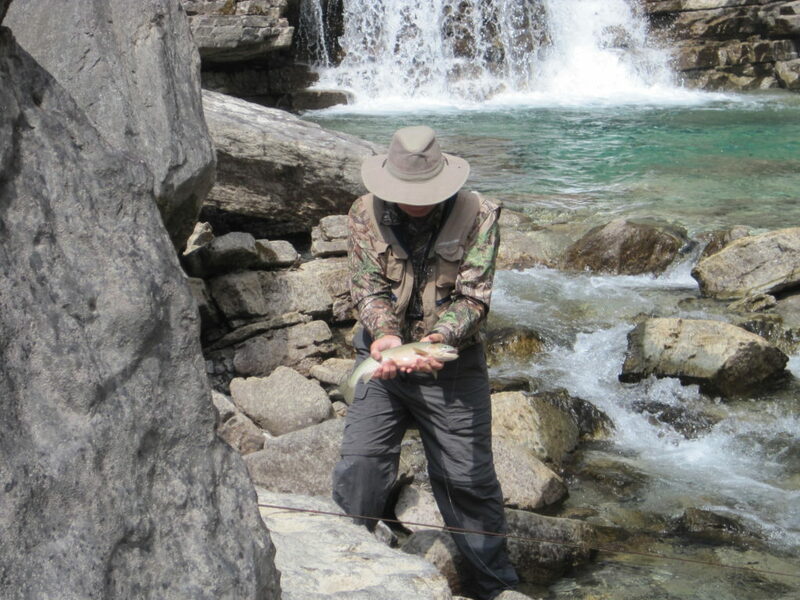 The stream offers incredible dry-fly fishing in a great diversity of fishable water. 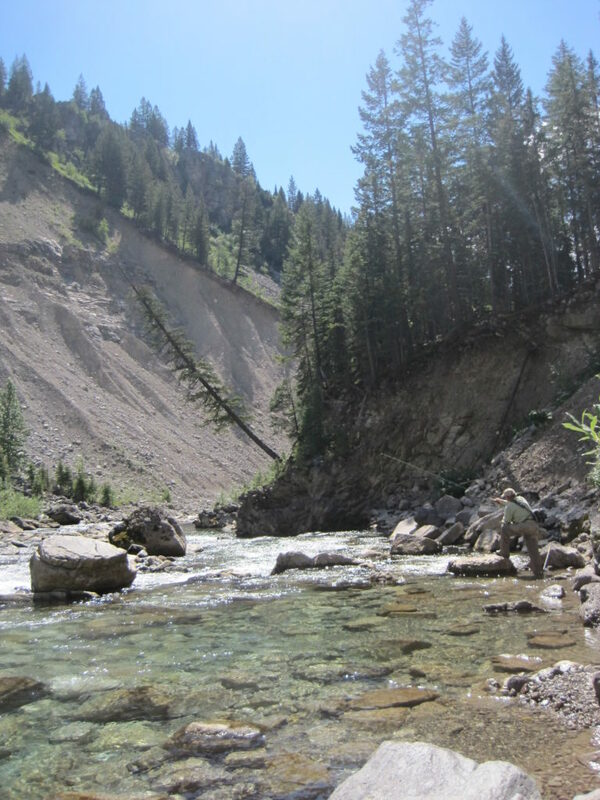 The river channel changes from fast moving pockets to slow moving pools, deep cut banks and long runs. It is a stream suitable for the accomplished angler as well as the curious newcomer. 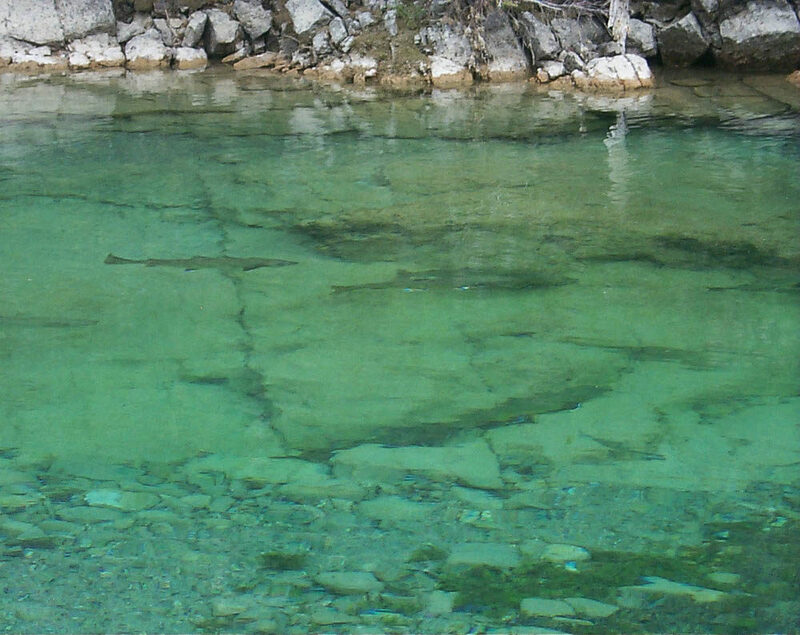 The White is a limestone river with easily accessible banks to fish from. 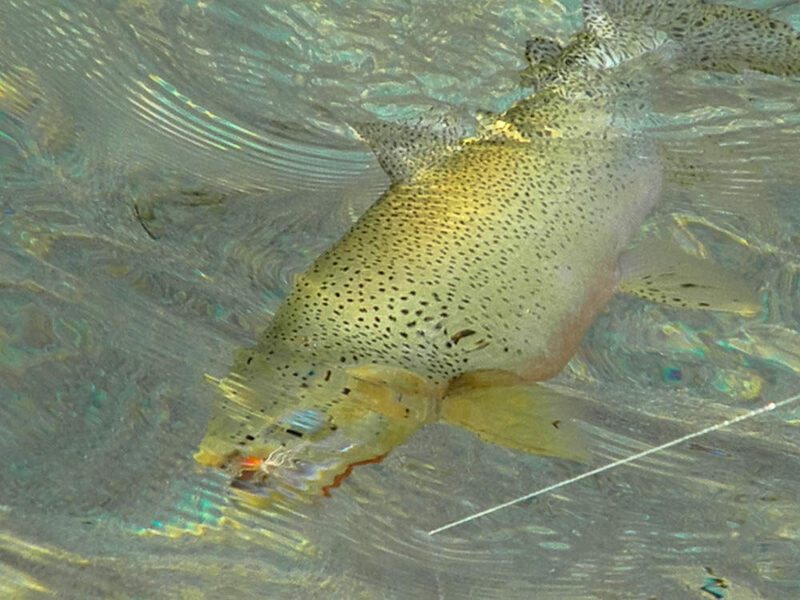 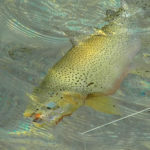 Limestone offers exceptional feed for insects, which in turn produces fat colorful cutthroats. 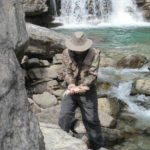 However, it also makes the rocks slick and wading can be dangerous without the proper footgear. 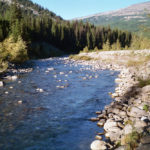 Naturally fed by alpine snow melt, the river is cold in nature and it is recommended that hip boots or chest waders be worn with added gripping power of felt soled boots. 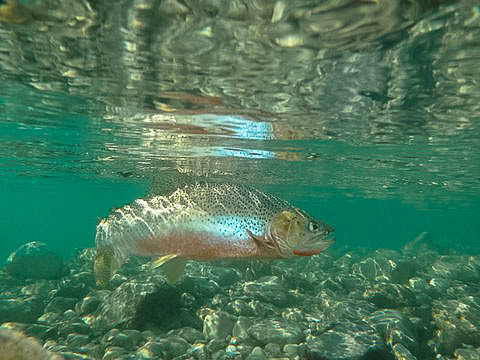 Being spring fed, the frigid waters hold an incredible diversity of insect life creating the possibility of new hatches every night. 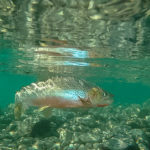 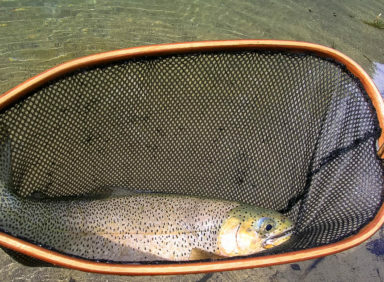 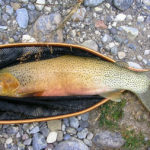 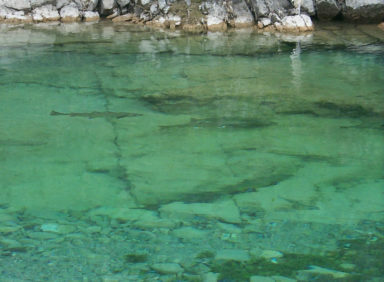 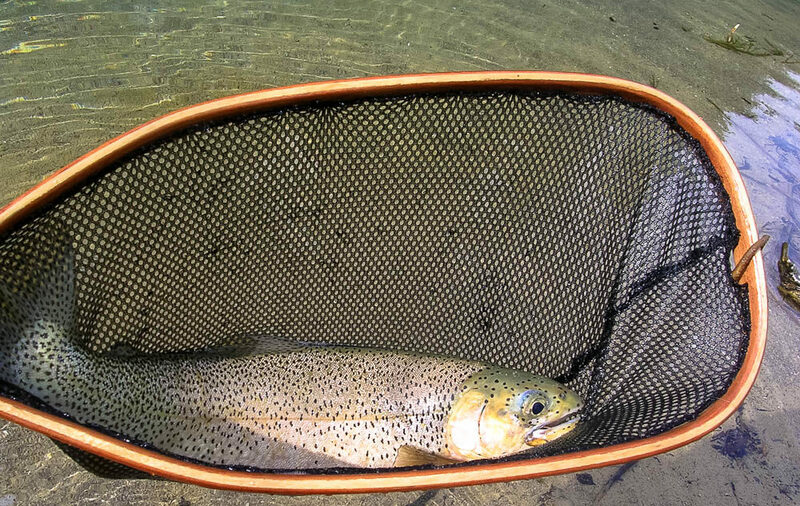 The unique fishing conditions provide excellent trout habitat for large cutthroat trout, the average fish being 14” and a trophy cutthroat being in the 20” range. Though endangered, the elusive bull trout cruise the deep pools as well, waiting for the spawning season to approach. 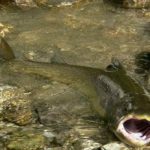 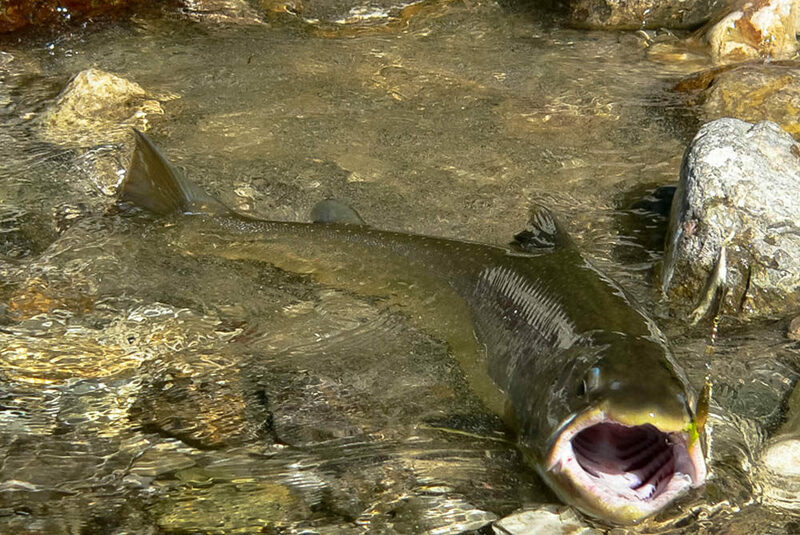 Like sharks cruising the ocean, bull trout are extremely predacious fish, making the occasional encounter unavoidable. 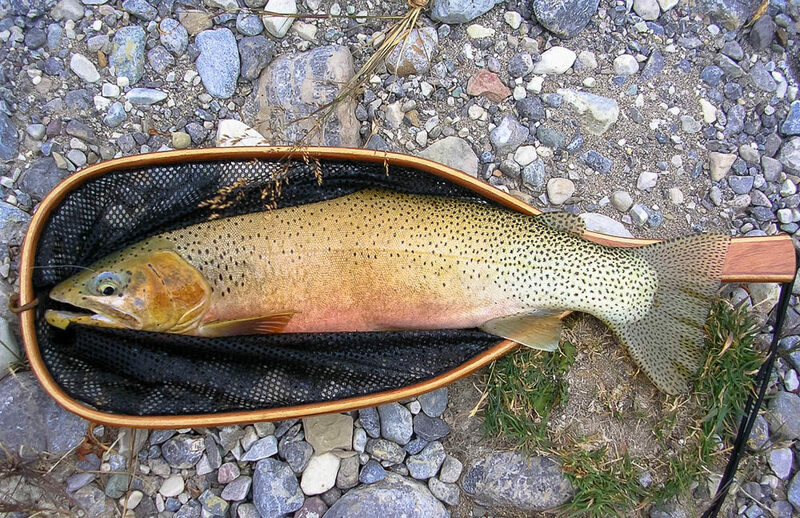 Known to attack even medium sized cutthroats it is not uncommon to see a 30” bull attacking a tired cutthroat. 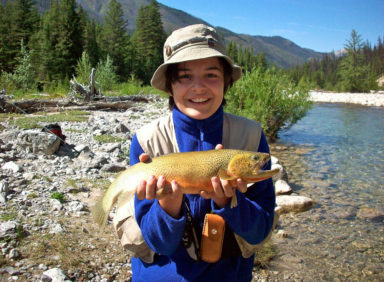 The general benefits of fishing the White River camp are directly related to its seclusion in the Flathead National Forest. 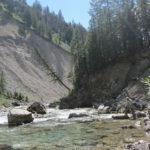 Its distance from the nearest trail head makes it a full day’s ride on horseback with some hiking. 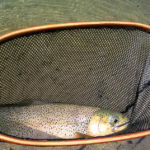 This offers a chance to fish with little to no chance of seeing fisherman from other parties on the water. 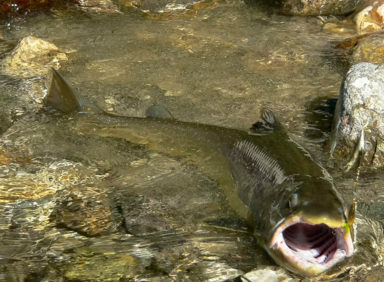 Regulations for this river do not allow keeping any fish over 12”, as they spawn better. 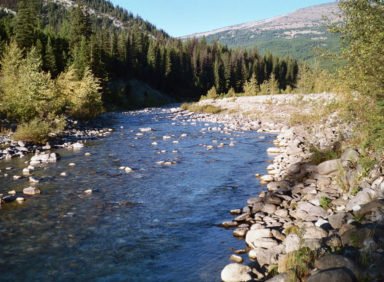 We ask our guests to catch and release, as this is a small river that could be negatively impacted by keeping too many fish. We understand keeping one as hors devours to share in camp, but prefer our guests to leave this river unaffected by our presence. 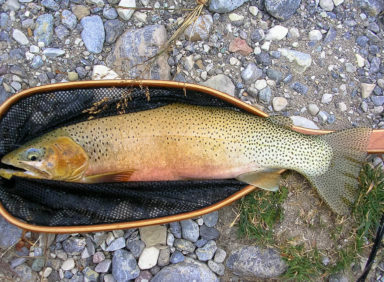 Suggested fishing gear may be viewed on this site.